At the conference I presented about Advance Reading Copies (ARCs) and galleys as part of a panel called “All About ARCs: The Ins and Outs of Using and Abusing Advance Reading Copies.” My co-panelists Kelly Jensen (from Stacked) and Liz Burns (from School Library Journal’s A Chair, A Fireplace and a Tea Cozy) and I discussed how librarians (and other professional readers) use galleys, where they get them, and what they do with them. We were also fortunate enough to have Jennifer Childs from Random House and Victoria Stapleton from Little, Brown & Co. to represent the publishing industry. They confirmed what NetGalley has highlighted: digital galleys are here to stay, and in fact their distribution is increasing as the numbers of print ARCs decline. For publishers, it is more cost-effective in the long run to use digital review copies, although they also realize that print is important to both librarians and patrons for collection development and readers’ advisory purposes. One question that was asked from the audience was “If I am using NetGalley for collection development, will publishers overlook me (as a librarian) if I am not writing reviews?” The answer from our publishers was a resounding “No!” Reviews are not necessary for regular access to digital galleys. However, they did stress that the completeness of your online profile weighs heavily in their decision-making process. If you are a librarian doing collection development, explain how you are using digital ARCs. Highlight what you do: do you work with children, young adults, or adults? What age levels? Are you making purchasing suggestions or decisions? NetGalley is a site for professional readers, and this information is very important so that publishers know you are doing more than leisure reading (not that that isn’t also important)! 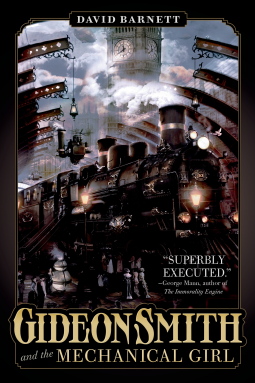 I am a big science fiction and fantasy reader, and I love using NetGalley for upcoming titles, both for collection development and as a Library Journal reviewer. 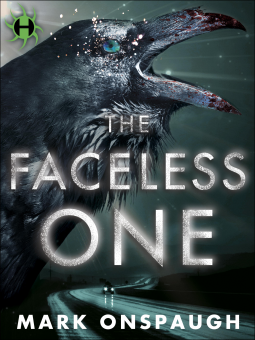 Right now I have a copy of The Faceless One by Mark Onspaugh (from Random House’s digital imprint Hydra) and am waiting for approval for Gideon Smith and the Mechanical Girl by David Barnett (Macmillan – Tor/Forge). I’m impressed, I must say. Rarely do I come across a blog that’s both educative and entertaining, and let me tell you, you have hit the nail on the head. The issue is something which not enough men and women are speaking intelligently about. I’m very happy that I came across this in my hunt for something relating to this. I simply want to say I’m beginner to weblog and honestly liked this web blog. More than likely I’m want to bookmark your blog . You surely come with perfect article content. Bless you for sharing your web page.